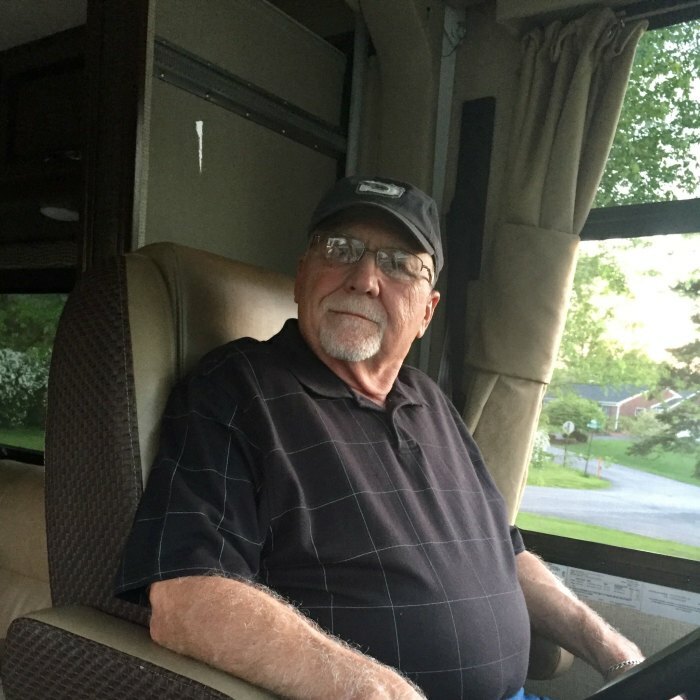 David F. Roadarmel, 70, of 1010 McRae Lane, Lewisburg, entered into rest on Friday, February 8, 2019, at UPMC Williamsport Hospital surrounded by his immediate family. David was born on November 9, 1948 in Lewisburg, to Kathryn G. (Gryscavage) and Charles F. Roadarmel. He has one brother, Charles R. Roadarmel. David graduated from Lewisburg High School in 1967 where he played football and baseball. After high school, he went on to serve in the U.S. National Guard. David married Sue Ann Sagan in 1983. David and Sue Ann enjoyed a total of 40 wonderful years together. Together, they had one son, Brian. David lived life to the fullest and made a lasting impression on many people over the years. He started his career at Rose Pools and Patio and spent the latter part of his career at Fairchild Brothers, Inc. Many of his friends called him by his nickname “Motor”, rightfully so, as he loved traveling with his wife in their RV. David was an avid pool player, and his reputation followed him during his travels. He loved his family dearly and enjoyed spending as much time as possible with them. While David no longer graces us with his physical presence, none of us will be able to forget his kind smile, helping hand, and sense of humor. As per David’s request, we will be celebrating his life with a reception starting at 12 PM on Sunday, February 17th at La Primavera, 2593 Old Turnpike Road, in Lewisburg, PA. Burial will be private. In lieu of flowers, donations can be made to the American Diabetes Association, In Memory of David Roadarmel, 2451 Crystal Drive, Suite 900, Arlington, VA 22202.